Lot 228 One Fabulous Time topped the sale, and became the No. 1 Triangle Sales all-time high seller with a bid of $125,000. 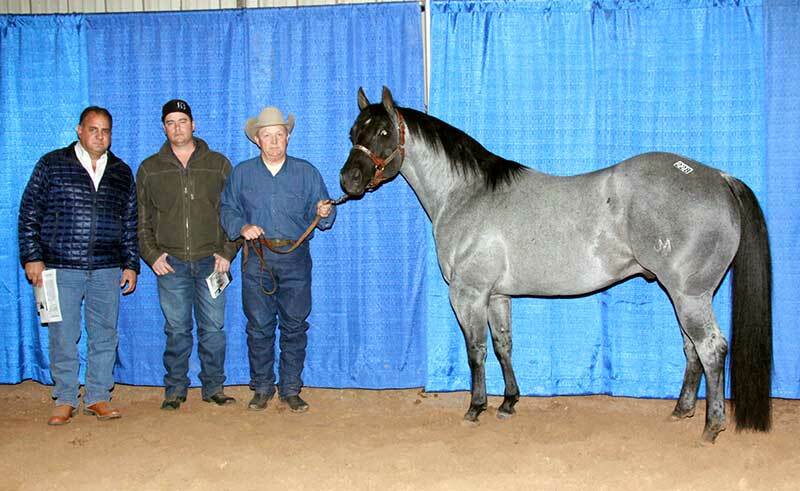 Consigned by Larry and Michelle Rice’s Flag Ranch LLC, the 2008 stallion was purchased by Juan Pablo Balleza Patino. With 733 horses cataloged, the winter sale saw a completed sales rate of 85 percent. The overall average for the sale was $6,500. The top 10 averaged $52,500, the top 50 averaged $25,508, and the top 100 averaged $18,091. 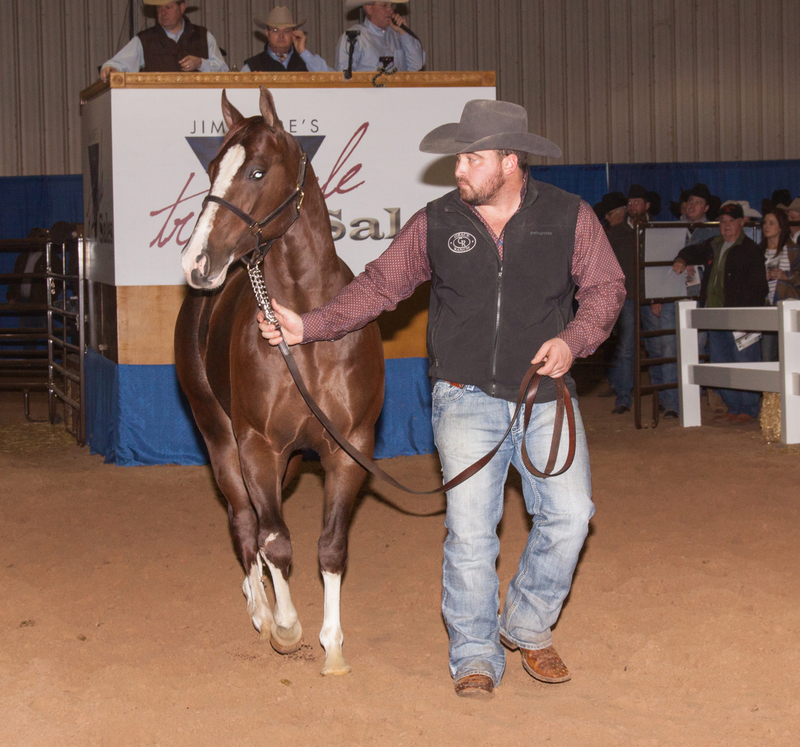 With almost every Quarter Horse discipline offered in the sale, buyers flocked to the sale. The estimated attendance was 5,000 over the three days, and the sale had 643 buyers that traveled from 34 states and three foreign countries. Triangle offered “click to bid” internet purchasing options through Superior Productions, and an additional 7,772 people tuned in through that medium. Live demonstrations on the roping and barrel horses were provided so buyers could see horses working. All buyers had peace of mind through free and immediate fall-of-hammer insurance offered by Markel that was in effect for 24 hours or until the horse left the grounds. 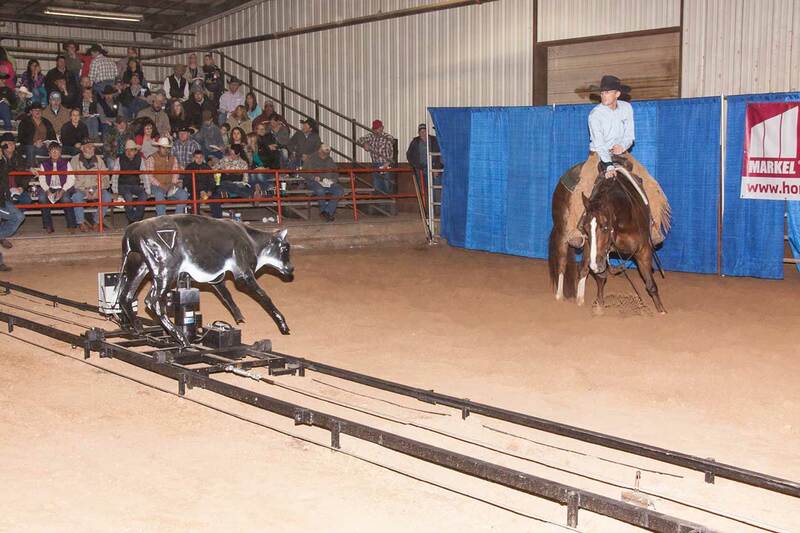 Another new feature at the sale was the simulated sale cow for cutting demonstrations. 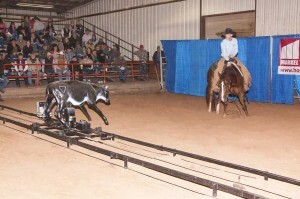 “Cindy,” the custom made track cow, allowed horses to showcase their talents while eliminating cattle charges to sellers as well as the disruption and time caused by cattle changes. “In all my years of sale production, I have never seen anything that helped show off a cutter’s talents like our track cow. The perfect situation is created, and every horse and rider have the same fair chance. Our business is to sell horses, not put on a show, and nothing helps sell horses like that cow,” Ware explained. “We are trying to provide sellers and buyers with a few little extra things that make them comfortable and want to come back. We call that lagniappe in Louisiana,” added Ware, who is a native of that colorful state. Even further to focus on the goal to make selling fast and easy, consignors were paid within five banking days. The next sale, the Mid-Winter Sale on February 27-28, will have something for everyone – just a smaller version of the January sale. 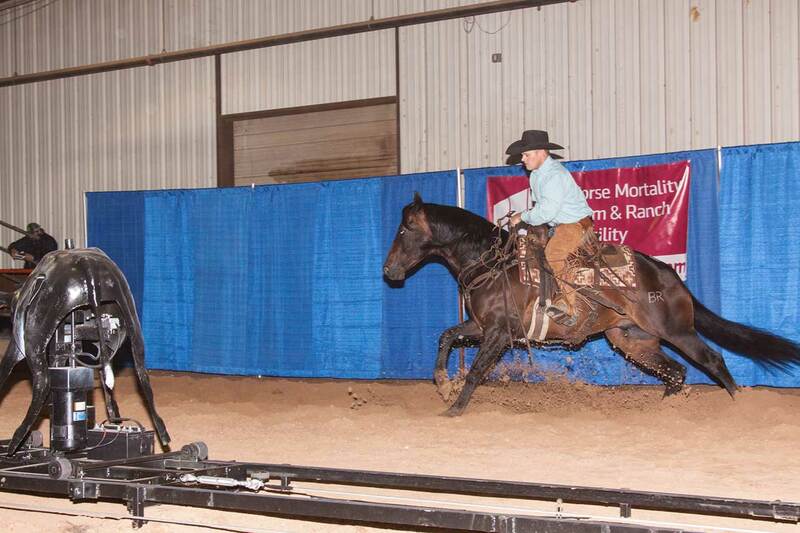 During the Triangle Spring Sale, which will be held May 1-3, people can expect the same type of consignments as previous sales but with the introduction of the first Spring Mare Market and a special emphasis on Team Sorting. Congratulations to all of the connections and again we thank all of our sellers and buyers for making this year’s sale such a success! Every horse sold “live” while working our custom sale cow “Cindy”! No cattle charges to sellers! Every horse sold while performing live in our “super sized” auction arena!